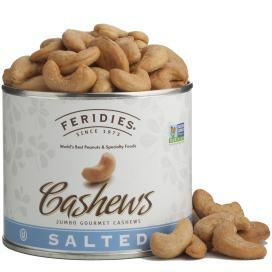 Lightly roasted in peanut oil and sprinkled with a dash of salt, our Cashews are rich in flavor and plump in size! The dimension of the 18 oz. can is 5" x 3.5". The shelf life is approximately 1 year (unopened). OU Kosher Certified and Non-GMO Project Verified. 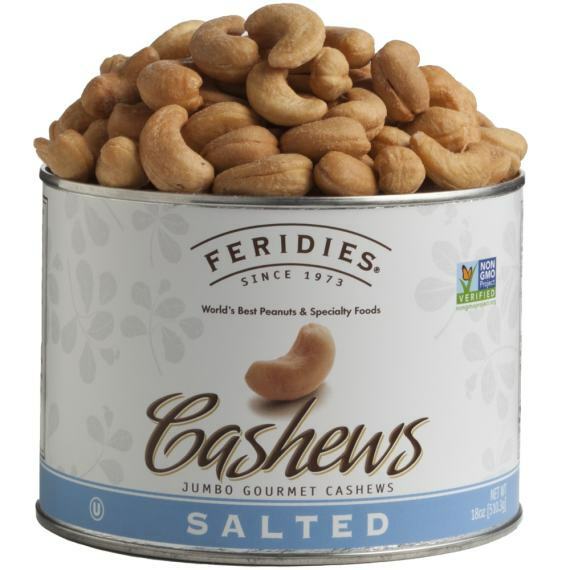 Save over 8% with the 4 Pack versus single can purchases.